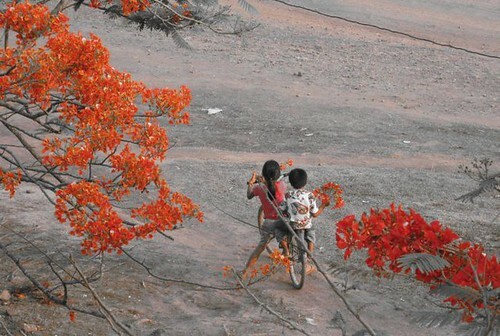 flame trees, originally uploaded by c_p_lew. Salavan is so much hotter than Vientiane, so I escaped to the comparative coolness of the office on Saturday afternoon. The flame trees in front of the hospital are really blazing now. These kids were picking the flowers - so I sneaked a picture. It looks like they are carrying bundles of color.